This day is all about walking around Bergen with a professional guide. Bergen city centre is very compact with much to see and hear about within a short walking distance. This is a 3 hour walking tour of the downtown heart of Bergen. Breakfast at the hotel before departure by train to Voss. 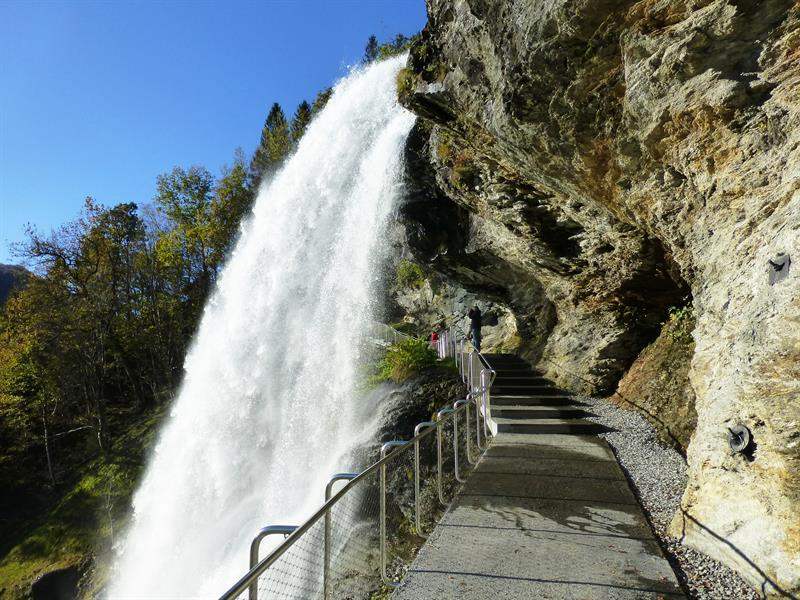 From Voss you will continue by bus through an attractive farmland to the small village of Ulvik, beautifully located by the Hardangerfjord. The Hardangerfjord is the second largest fjord in Norway, and famous for its fruit orchards. The contrast created by green hillsides, orchards in blossom and snow-clad mountains has inspired many, and among them the well known Norwegian composer Edvard Grieg with his famous composition «Spring». If travelling in May you will have the possibility to see the lovely blossoming of the fruit trees. The afternoon is at your own leisure in Ulvik. 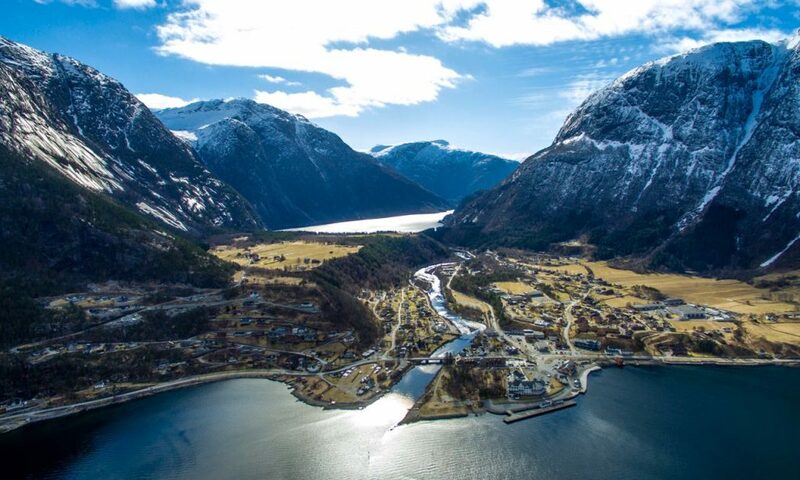 You can relax by the fjord, explore the beautiful surroundings or enjoy the facilities the hotel has to offer. We also recommend joining a guided kayaking trip. Accommodation in Ulvik. Breakfast at the hotel. 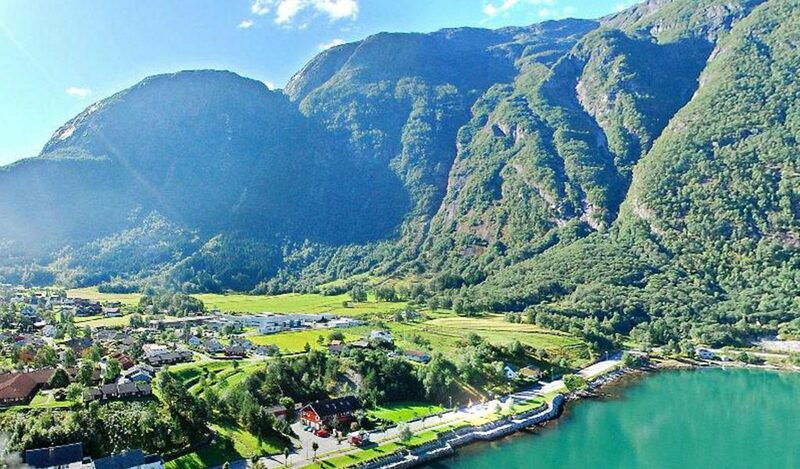 From Ulvik you will depart on a cruise across the Hardangerfjord to Eidfjord. 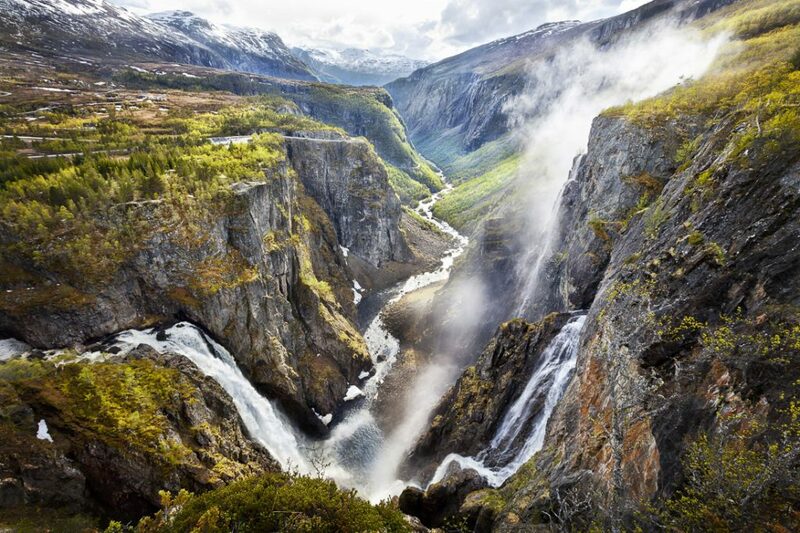 Here you you will go on a 2,5 hours sightseeing tour by bus to visit the Hardangervidda Nature Centre and the spectacular Vøringsfossen Waterfall, Norway’s highest waterfall. In the afternoon the journey continues with a 3-hour cruise on the Hardangerfjord to Norheimsund. 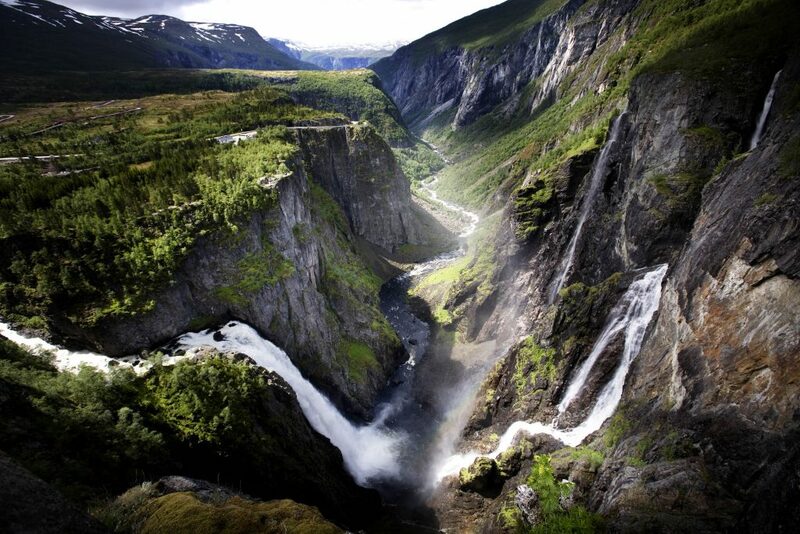 The last part of the journey is by bus to Bergen, passing the impressive Steindalsfossen waterfall. Accommodation in Bergen.